Connect the cubes in 165+ levels of deliciously fruity fun set in a tropical paradise with pirates, mermaids, witches, and much more! 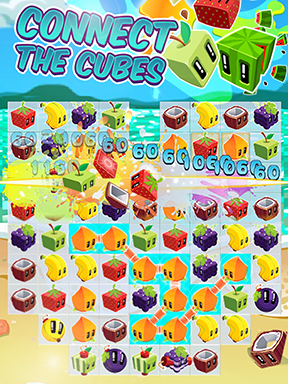 Solve tons of challenging puzzles as you set sail for the sweetest and fruitiest adventure around! Play more than 165 levels filled with challenging puzzles! Create and combine fruit bombs for some really explosive surprises! 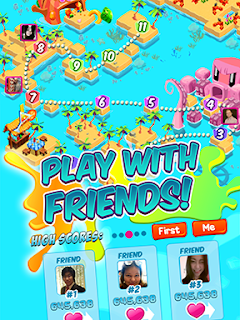 Set in a tropical archipelago with fun and colorful graphics! Meet pirates, mermaids and witches as you go island hopping! Easy to pick up but difficult to master! Unlock exciting new islands and crazy characters!